short girl, long island. 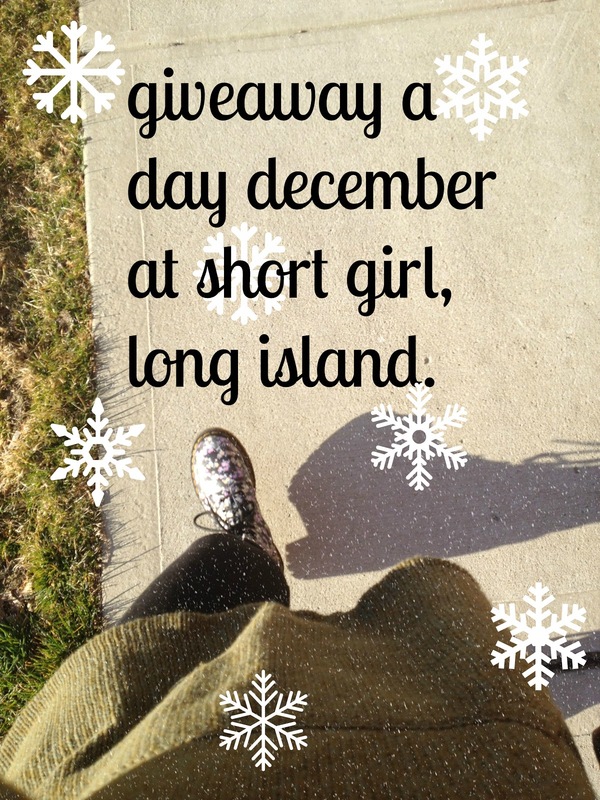 : Giveaway a Day December! With the help from my awesome friends in the blogosphere + the business world, we are bringing merry to a whole new level + giving away something for each day in December. I don't want to spill the beans on the items that will be given away, because the element of surprise is what makes this fun. There are only a few days til the madness begins, so keep your eyes peeled!